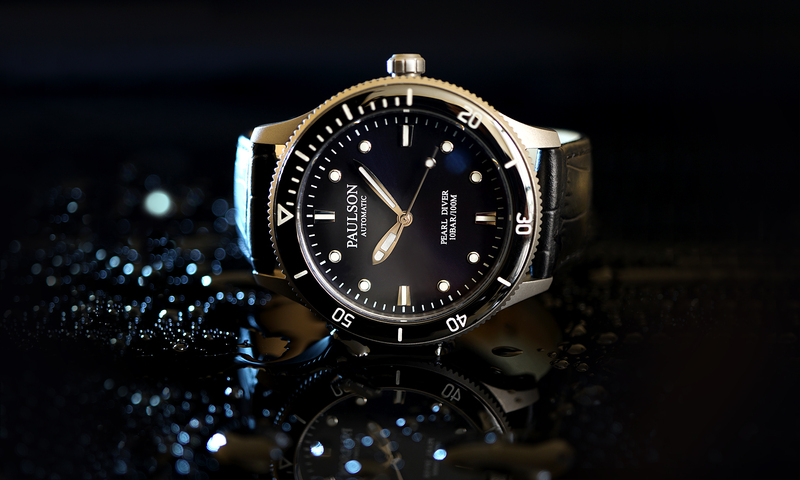 Introducing the new Paulson Pearl Diver Grade 5 Titanium Automatic Dive Watch! 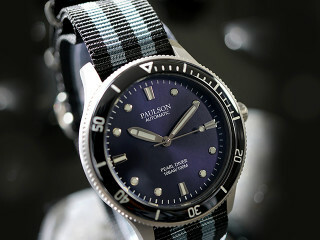 Paulson Watches recently released the Pearl Diver, one of the World’s toughest, lightest, slimmest dive watches. The brand’s inaugural watch designed with a simple mission in mind: creating a capable dive watch that is lightweight and slim for a fair price. The Pearl Diver is a mechanical watch in a titanium case that takes an enduring dive watch design with stylistic touches that define this new brand. The Pearl Diver is water resistant to 100m, which is of paramount importance to the brand’s founders who frequently dive and enjoy water sports. 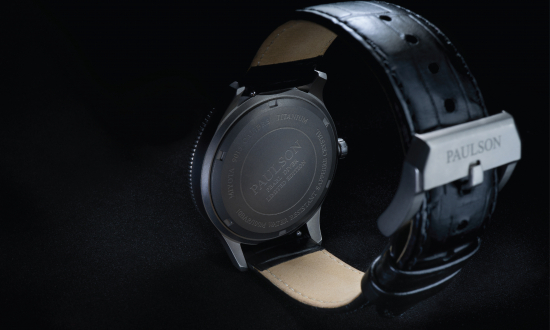 Additionally, the watch is outfitted with a unidirectional rotating ceramic bezel marked with lumed indices for easy reading in low-light situations. 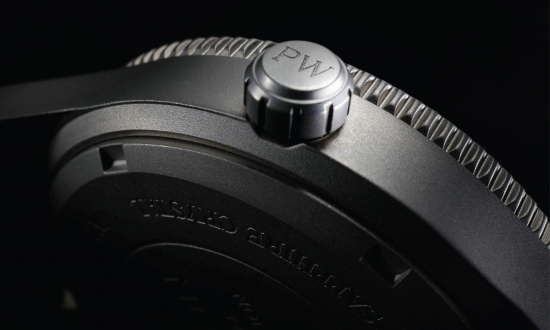 Using lightweight Grade 5 titanium, the 45 gram weight of the Pearl Diver is kept to half of what a steel watch weighs while being much tougher and scratch-resistant. That light weight also makes it easier to comfortably do things like typing or running errands without being irritated by a heavy or bulky wristwatch. Furthermore, it was important to keep the thickness of the Pearl Diver at a height that allows it to easily tuck under a sleeve. At 10.7mm thick, there are not many mechanical dive watches out there that are slimmer at this price point. On the dial are the polished, legible hands that are done in a blue Swiss Super-LumiNova, as is the “lollipop” shaped seconds hand. The design is kept simple and easy to read, but a subtle gradient black dial changes between various tones of dark grey, navy and indigo to keep things visually interesting and not flat. To ensure legibility and ease of reading, the sapphire crystal is treated with anti-reflective coating, so glare and bright situations are not a problem. 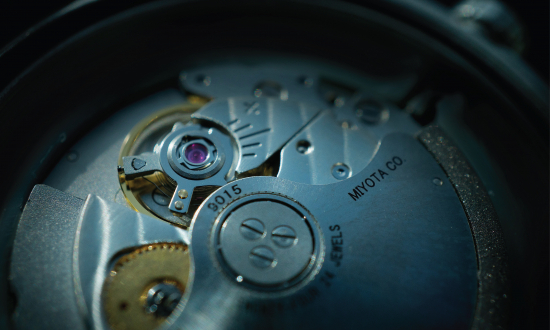 The Paulson Pearl Diver runs on a Japanese Miyota 9015 automatic movement. This 24-jewel movement can be hand wound and has a hacking seconds function, a 42-hour power reserve, and the Parashock anti-shock system. Reliable and tough, the 9015 can run for a weekend and is accurate to between -10 and -30 seconds per day. The Pearl Diver is meant to be versatile which is why it comes with two straps. The black perlon strap is sporty and ideal for outdoor as well as water activities. For times like going to dinner or a night out with friends, the Italian black leather strap dresses the Pearl Diver up just enough. The signed buckle on both straps is done in Grade 5 brushed titanium. 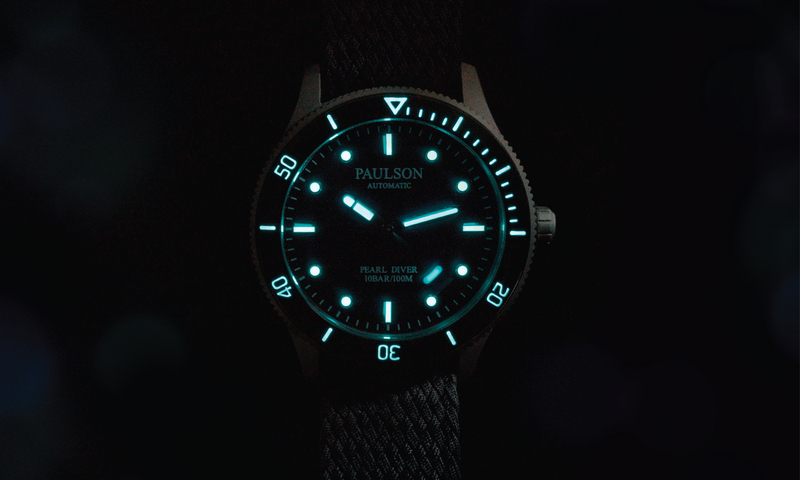 You can now pre order your Paulson Pearl Diver on Indiegogo.com, with manufacturing beginning at the end of the campaign (expect about 4 months for the watch to be ready). The watch will retail for $395 plus shipping but early backers will be rewarded with early bird discounts and free shipping.